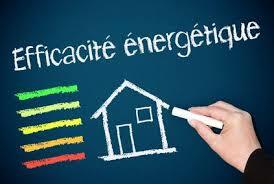 The aim of this research is to understand the weight of preference heterogeneity in explaining energy consumption in French homes. Using a discrete-continuous model and the conditional mixed-process estimator (CMP) allows us to tackle two potential endogeneities in residential energy consumption: energy prices and the choice of equipment. As a major contribution, we provide evidence that preferences for comfort over energy savings do have significant direct and indirect impacts on energy consumption, especially for high-income households. Preferring comfort over economy or one additional degree of heating implies an average energy overconsumption of 10% and 7.8% respectively, up to 36% for high-income households. Our results strengthen the belief that household heterogeneity is a substantial factor in explaining energy consumption and could have meaningful implications for the design of public policy tools aimed at reducing energy consumption in the residential sector.